Wisconsin’s beauty results from its diversity of geography, heritage and industry. Your group will find all three in the state’s thriving urban centers, which range from college towns brimming with culture to historic outposts with centuries-old main streets. These six cities contain some of the best museums, restaurants and stores Wisconsin has to offer. Once a Menominee tribe outpost and French Catholic missionary settlement, Wisconsin’s largest city has blossomed into a metropolis teeming with art and history. Start at the Grohmann Museum, which houses over 1,000 paintings and sculptures that document the evolution of organized labor in its “Man at Work” collection. Nearby is the Milwaukee Public Museum, where you can wander the immersive streets of Old Milwaukee, appreciate authentic Native American artifacts and explore the “Temples, Tells and Tombs” exhibit. collection of Renaissance-era oil paintings, sculptures by wrought iron master Cyril Colnik and elaborate Züber wallpaper with floral designs. Nearby is the Charles Allis Art Museum, an ornate 1911 home that houses French Barbizon paintings, Asian ceramics and exhibitions that highlight regional artists. For a different but equally ornate historical tour, visit the Pabst Mansion near Marquette University. The former home of beer baron Frederick Pabst and his family, it stands as a pristine example of Gilded Age style, with stained-glass windows, elegant furnishings and detailed woodwork covering every inch of the property. Among the countless restaurants and tap rooms to tempt your appetite is Lakefront Brewery. 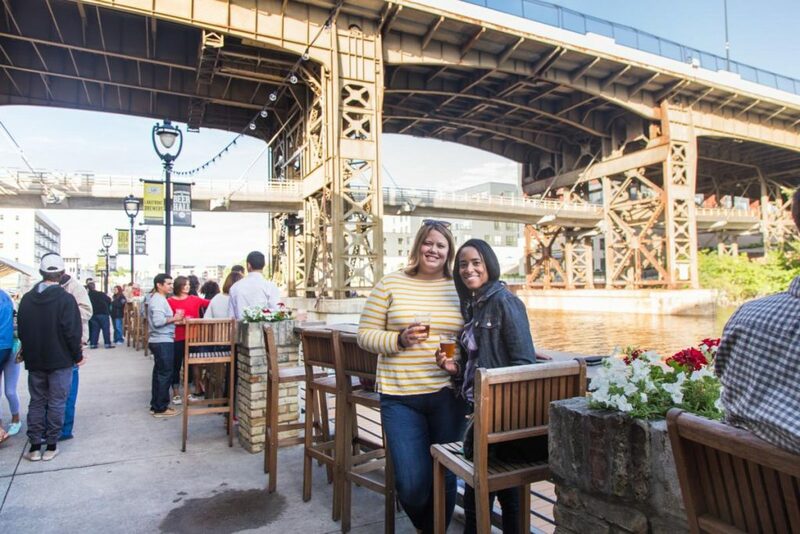 Your group will receive up-close looks at the brewing equipment, samples of the beer crafted on-site and pairings of cheese and coffee with Lakefront’s creations. Want a stunning view of the Milwaukee skyline? 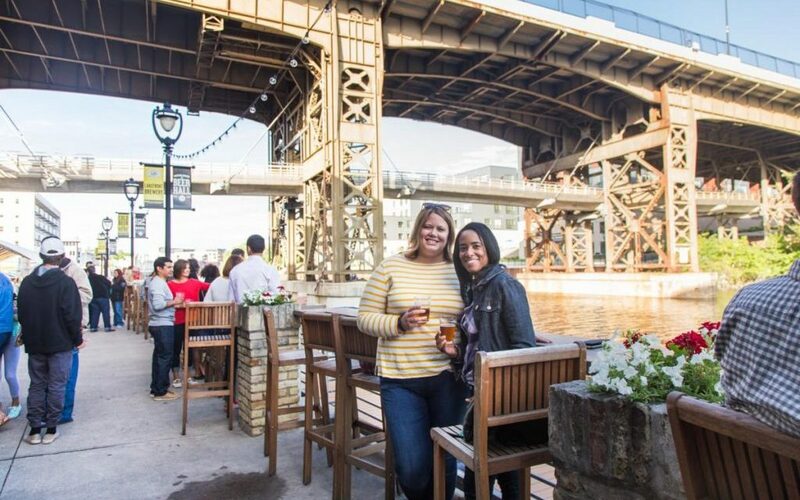 Consider a sightseeing tour with Edelweiss, a premier cruise company that can whisk your group through the canals of downtown Milwaukee while you enjoy food and drinks served aboard. 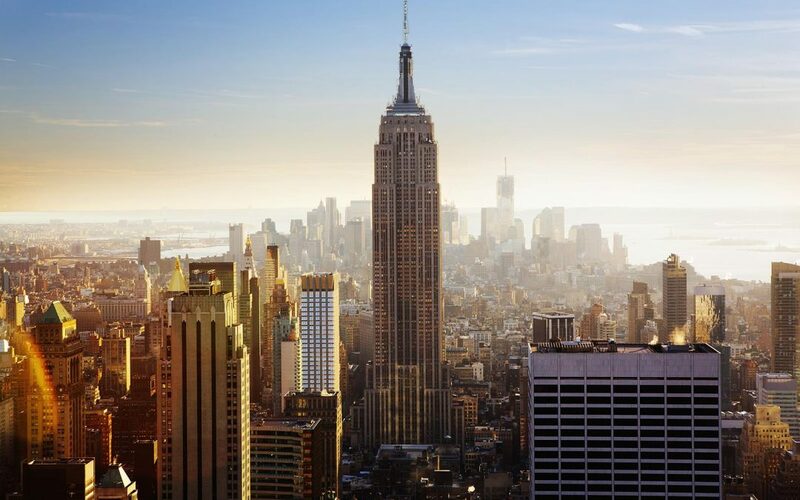 Interested in catching a Broadway or off-Broadway show, the ballet or perhaps a symphony performance? The Marcus Center for the Performing Arts hosts orchestras, operas and musicals at discounted rates for groups. 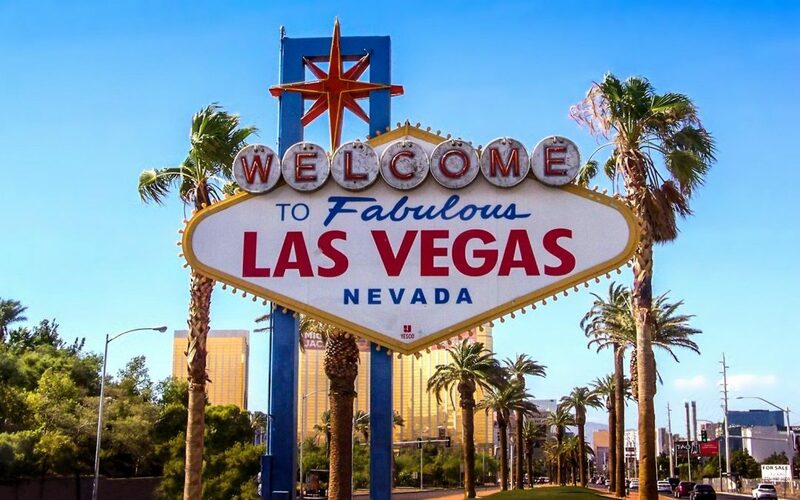 Amongst the more intimate spaces within the venue, the Center showcases amazing world-class performances, including non-musical comedies, jukebox musical tributes, improvisational comedy and family entertainment. The state’s second-oldest city, Prairie du Chien lies along the Mississippi River in the state’s southwest corner. Established by French voyageur Nicolas Perrot in 1685, the downtown area retains much of its original fur trading post layout, and the entire area is dotted with landmarks commemorating the Siege of Prairie du Chien, the only battle of the War of 1812 waged on Wisconsin soil. Home to the Prairie du Chien Historical Society, the Fort Crawford Museum stands on the remains of an 1830s army post that protected the Northwest Territory’s western border.Your group can tour reconstructions of a military hospital and learn about frontier medicine and weaponry from historical society guides. Other attractions include Effigy Mounds National Monument, host to ancient Native American mounds shaped like mammals and birds, and Villa Louis Historic Site, a preserved 30-room Victorian mansion. Costumed guides lead tours of the estate and illustrate Wisconsin history through the lens of the resident Dousman family. Groups who venture to St. Feriole Island will discover the Mississippi River Sculpture Park. Life-sized sculptures depict local historical figures such as William Beaumont, who pioneered human digestion research at nearby Fort Crawford, and Black Hawk, a Sauk tribe chief who signed a series of treaties on the island during the Native American Wars. Green Bay’s most famous resident is its football team, but Wisconsin’s oldest city is filled with galleries and gardens to engage group members with other interests. Designed to welcome guests during all four seasons, the Green Bay Botanical Garden is 47 acres of crab apples, magnolias, lilacs and perennials. Animal-lovers should pay a visit to Bay Beach Wildlife Sanctuary, a 70-acre refuge that over 4,000 injured or orphaned animals call home. Visitors can take self-guided nature hikes, fish for bluegill in the Bay Beach Lagoon or sign up for an animal talk to meet rescued baby mammals up close. Gearheads in your group should spend time at the Automobile Gallery, the result of a vision of local entrepreneur and car enthusiast Red Lewis. This former Cadillac dealership has been converted into an 18,000-square-foot gallery lined with rare cars such as a 1912 Maxwell, 1959 Buick Electra and 1981 DeLorean, made famous in the Back to the Future film franchise. Further transportation history is found at the National Railroad Museum, which houses artifacts and vintage trains. Highlights include the “Big Boy,” the world’s largest steam locomotive, and Pennsylvania Railroad GG-1, the world’s most famous electric train. The city’s crown jewel is Lambeau Field, home of the Green Bay Packers and the oldest continually operating NFL stadium. Stadium tours will guide you through the press box, locker rooms and sidelines, and guides will explain the Packers’ history as the only publicly traded franchise in American sport. 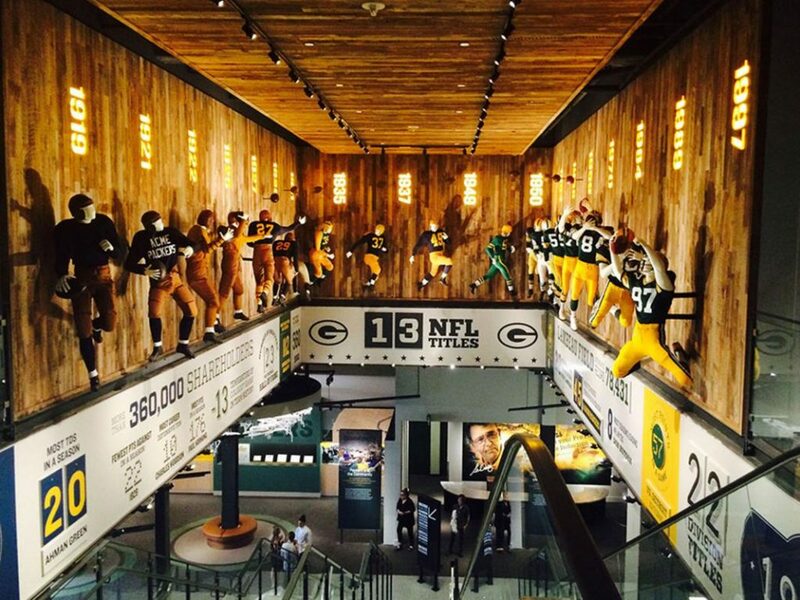 Football fans can also explore the adjoining Green Bay Packers Hall of Fame, where they can admire the team’s four Super Bowl trophies, Vince Lombardi’s desk and memorabilia from a century of Packers history. Just outside the city limits, it’s a scenic drive to The National Shrine of Our Lady of Good Help, the only Marian shrine in the United States on the site of an approved apparition of the Blessed Virgin Mary. Explore the grounds where Sister Adele first encountered the Blessed Virgin Mary and where she started her mission. Bisected by the Chippewa River, Eau Claire has been a booming sawmill hub and French trading post (its name in French translates to “clear waters”). Today, the city offer groups glimpses into its logging past and industrial present. Both can be found in Carson Park, a peninsula surrounded by the crescent-shaped Halfmoon Lake and site of sports facilities, historic homes and hiking trails. Baseball fans can catch a game at the Carson Park stadium, where Hank Aaron, Bob Uecker and Joe Torre played as minor leaguers. In the center of the island lies Paul Bunyan Logging Camp and Museum, an authentic 1890s logging camp complete with a cook shanty, blacksmithing forge and barn. 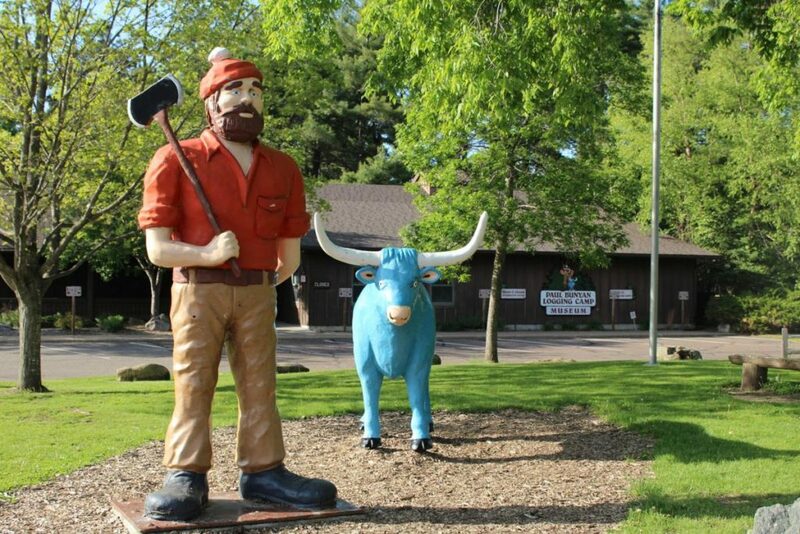 After you snap a group photo in front of Babe the Blue Ox, continue north to the Chippewa Valley Museum, which features exhibits on the local lumber industry and pioneer history. It also houses an authentic 1950s ice cream parlor that can be rented by groups of up to 30. Follow the Chippewa River north to the Leinie Lodge, home to the Leinenkugel Brewing Company since 1867 and an extensive tap room with dozens of beers crafted on-site. Tours will explain the company’s humble Prussian immigrant origins, describe the brewing process and end at the sampling bar with tastes of seasonal creations such as the Oktoberfest and Summer Shandy. Located on the northern tip of Lake Winnebago, Appleton is the thriving hub of the Fox River Valley. Art galleries, boutiques and gourmet restaurants greet visitors along downtown’s College Avenue, and you can indulge in retail therapy with a stop at Fox River Mall, the largest shopping center in Wisconsin. Hearthstone Historic House Museum, the first residence in the world powered by Thomas Edison’s centrally located hydroelectric system, offers guided tours back to the early days of domestic electricity. The 1882 Victorian mansion features original light fixtures, woodwork and stained-glass windows that will impress any group. You’ll find background of the region at the History Museum at the Castle, a former Masonic temple and home to exhibits featuring Harry Houdini, the famed escape artist and Appleton native. Visitors curious about the city’s logging heritage should stop by the Paper Discovery Center, a renovated mill that celebrates the science, history and art of paper. Enjoy interactive exhibits that follow the extensive process that begins with tree farms and ends with the paper you’re reading. 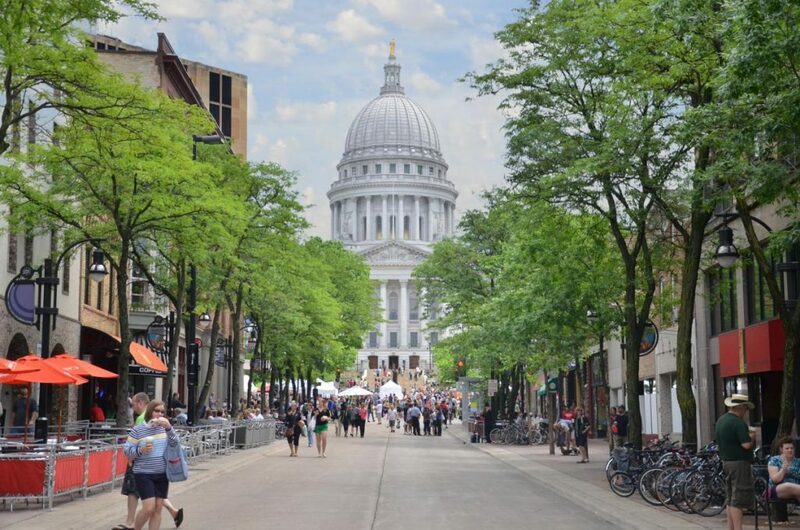 A vibrant home to academics, politicians and artists, Madison is sure to offer something for everyone in your group, from trendy art galleries to delicious ethnic cuisine. The city’s downtown is an enormous grid across an isthmus that divides two glacial lakes, and in its center lies the State Capitol. 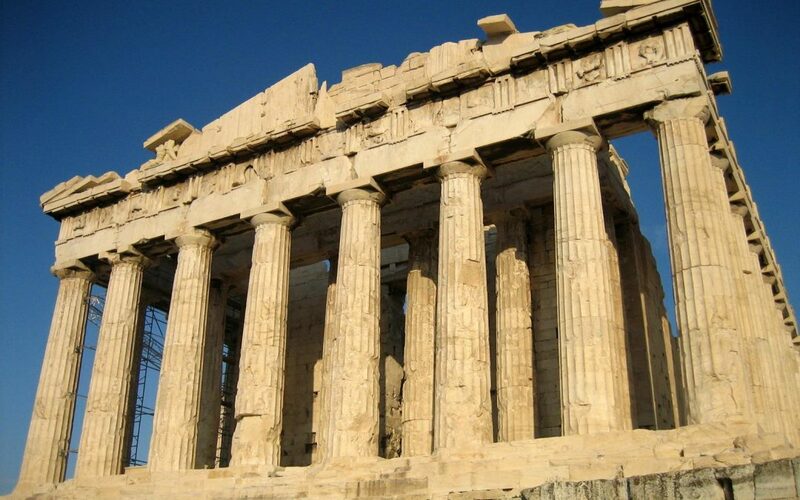 Featuring intricate mosaics and towering marble columns, this granite structure is surrounded by the espresso cafes and boutiques of Capitol Square. From there, follow State Street west to the University of Wisconsin campus. 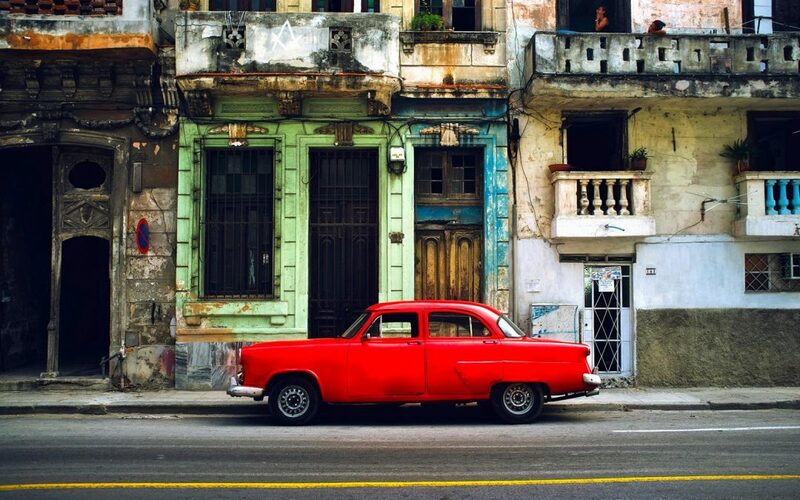 This thoroughfare consists of nearly 100 restaurants, bars and shops, and on warm days your group will be entertained by local buskers who perform on street corners. The University, home to 45,000 students and staff, is a sprawling campus your group can explore for the entire day. If time is at a premium, notable sights include the Abraham Lincoln Statue at Bascom Hall, Camp Randall Stadium and the Memorial Union Terrace that overlooks Lake Monona. Those looking to combine stunning water views with iconic architecture should visit Monona Terrace, a Frank Lloyd Wright-designed civic center overlooking Lake Monona. Group offerings include a wine and cheese tour, scavenger hunt and in-depth Frank Lloyd Wright tour.